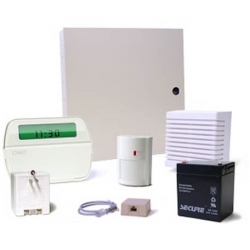 This is a very popular DIY (do-it-yourself) burglar alarm kit! Great value from the leading name in security alarm products - DSC! CA-38 jack and cord and plug in or wire in power supply. The items in the DSC Power 832 burglar alarm kit will be shipped to the buyer in the original box with all of the appropriate manuals and instructions.